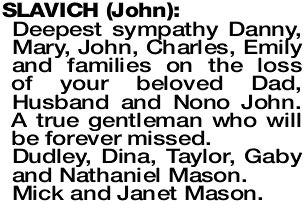 Loving memories of John. 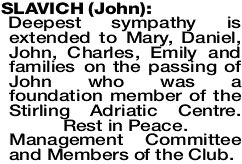 Our deepest sympathy to Mary, Danny and family on the loss of your loved one. 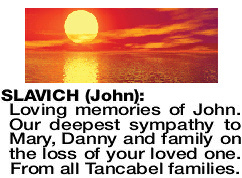 From all Tancabel families.